Wild Turkey Kentucky Spirit and Russell’s Reserve Single Barrel are currently the only two single barrel bourbons in regular production at Wild Turkey Distilling Co. Recently, there has been some debate in whiskey enthusiast circles as to which is the better of the two. On paper they are very similar. They are both NAS (no age statement) single barrel KSBW (Kentucky straight bourbon whiskeys). Both are classified as “super-premium” bourbons, typically priced in the $45-$55 range (more often than not Russell’s Reserve is usually a few dollars higher than Kentucky Spirit). And finally, both are eligible for private selections by vendors or private clubs. The primary differences on paper are in proof, filtration, and label. WTKS is the classic 101 proof, while RRSiB is non-chill filtered and is bottled at 110 proof; however, Kentucky Spirit discloses a specific bottling date, barrel number and barrel location, while Russell’s Reserve does not disclose any source information. But which is better? I’m going to (hopefully) answer this debate once and for all. And while WTKS and RRSiB are each single barrel bourbons, and therefore by nature will have the off chance of being anything ranging from off-profile unusual to uniquely amazing, I’m talking specifically about general profile differences between the two releases. Ready for the answer? Okay … well, it all comes down to two major (and relative) factors: ENTRY PROOF and DILUTION. According to a recent interview with Eddie Russell, Jimmy Russell “always” used an entry proof of 107. Some barrels proofed up as they aged, and many even proofed down (or changed far from 107 at all). This resulted in very little need for dilution to bottle a 101-proof product. Sometime in the mid 2000’s, barrel entry proof was raised (and more than once at that) to about 110-115 proof. While still low for the industry, this dramatically changed the classic Wild Turkey profile. So what does this mean when comparing Wild Turkey Kentucky Spirit to Russell’s Reserve Single Barrel? A Kentucky Spirit distilled prior to 2005 should have been distilled at a lower proof, and will probably have less dilution and taste closer to the classic old Turkey profile. WTKS is reportedly at least eight years of age, so any bottle filled prior to 2013 is more likely to have those lovely dusty Turkey notes (and usually the further back you go, the better). Russell’s Reserve Single Barrel (which was initially released in 2013, coincidence?) was distilled using the newer raised entry proof of 110-115, so very little (if any) dilution would be needed so long as aging kept the barrel proof around 110 (evidence of this is found in newer Rare Breed, which is “barrel-proof” at 112.8). I believe this is why Russell’s Reserve, while not the classic Wild Turkey profile from decades ago, tastes excellent in its own way. To summarize and wrap-up the debate … if you think the classic Wild Turkey profile is better than the modern Wild Turkey profile, then generally speaking a 2012 or earlier bottle of Wild Turkey Kentucky Spirit will be better than a 2013 or later bottle of Russell’s Reserve Single Barrel. Conversely, any 2013 or later RRSiB will likely be better than a 2013 or later WTKS. Of course, you must remember that being single barrel products there will always be some variance and the rare chance at off-profile barrels. Wait … didn’t I have a review to write? 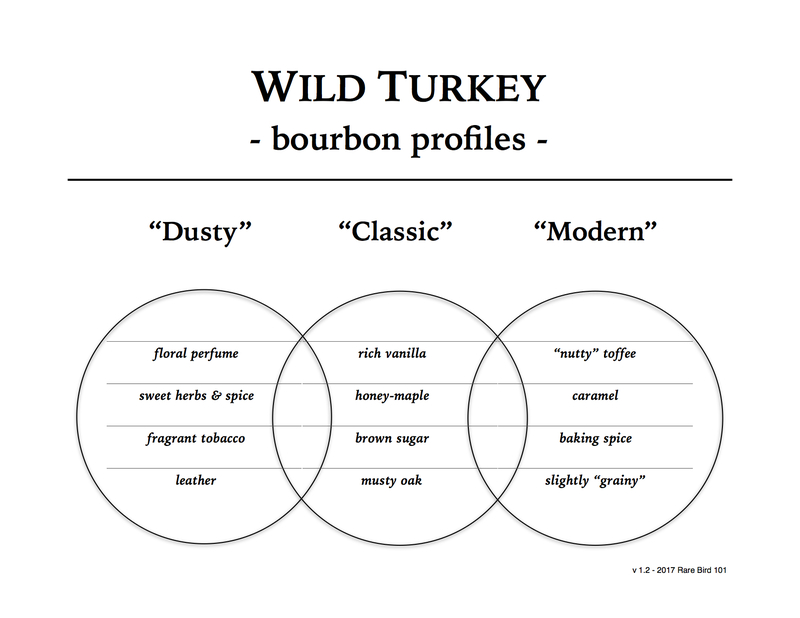 Overall: And here we have it … the legendary classic Wild Turkey profile. As with other Kentucky Spirit bottles around this time, this 2007 bottle reminds me in many ways of late-80’s/early-90’s WT 101 8-year. Rich vanilla, musty oak, and plenty of herbal spice to savor (and some bonus tobacco/leather on the palate)! I absolutely love this Wild Turkey Kentucky Spirit. It’s even better than the 2009 bottle I recently reviewed. Excellent! I have a 2009 bottle, and my notes are pretty similar. I don’t put it on the same level as the ’91 101/8 you sent me a sample of, but it’s more complex and reminiscent of dusty WT than any currently available Turkey product (and I like the RR SiB bourbon and rye a lot).